We have thriller author Robert Browne visiting today! He is an AMPAS Nicholl Award-winning screenwriter who ran screaming from the movie industry and jumped into writing novels. He also writes under the name Robert Gregory Browne. His first novel, KISS HER GOODBYE, was recently produced in Chicago as a pilot for a CBS Television series tentatively titled THE LINE, by Sony Pictures and Timberman/Beverly Productions. 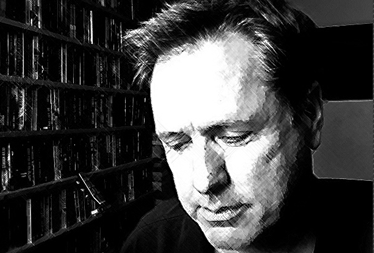 His books KISS HER GOODBYE and WHISPER IN THE DARK, are critically acclaimed, and his novel, DOWN AMONG THE DEAD MEN, has been nominated for a 2011 ITW Thriller Award. 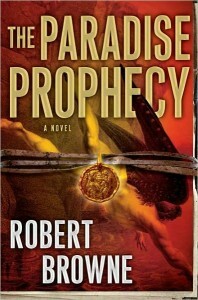 Robert’s new thriller, THE PARADISE PROPHECY, was just released this past summer. Publishers Weekly gave it a starred review noting “Milton’s Paradise Lost provides the backdrop for Browne’s riveting, cinematic novel, which charts an epic battle between good and evil”. Allison Brennan, New York Times Bestselling Author, claims “Browne’s thrillers are lean, mean, and thoroughly entertaining”. You’ll want to check him out. Your first novels were stand alones but your latest book, The Paradise Prophecy, is the first in a new series. What made you decide to write a series? After writing several stand alones and having readers ask me when I’m going to write a sequel to such-and-such, it has occurred to me that readers like series. This shouldn’t be a surprise, I suppose, because I like them, too. The characters we relate to are like friends, and we want to see them again. Tell us about The Paradise Prophecy and how you came up with the concept. THE PARADISE PROPHECY was really a product of brainstorming. My editor was interested in having me do something big and bold involving angels and demons and the question was asked—who would potentially be the baddest of bad guys? Somewhere along the line the answer became, of course, the fallen angels of Milton’s Paradise Lost and the story grew from there. The idea was to throw a couple of mortals—a spy and a religious scholar—into the middle of a mystery that ultimately leads them to a conspiracy to end the world as we know it. What can we expect in the next book in this series? At this point I have only a germ of an idea and won’t be ready to push forward until it solidifies in my mind. But one thing I can tell you is that we’ll learn a lot more about Callahan’s past and her relationship with her father, and Sebastian will find himself on a quest that will have some very emotional consequences. And now The Paradise Prophecy has been signed by the producers of the Twilight film franchise. Congratulations! Any updates with this production? Thanks! The writer of the book is usually the last person to hear anything about that stuff, so I’m afraid I have no news. Having a background in screenwriting, I can tell you that Hollywood moves in mysterious ways, and the journey from book to screen sometimes takes months and more often takes years. My first book, KISS HER GOODBYE, was published in 2007 and didn’t make it to the screen until 2010, as a pilot for a CBS television series. And even though everyone involved did a terrific job—some of the best television I’ve seen (not that I’m biased)—the show didn’t get picked up as a series. So you never know what’s going to happen. I have yet to actually write any sequels, so I don’t really know the answer to this. I would think, however, that the biggest challenge is keeping it fresh and writing a book that can stand on its own without the reader being required to read the books that preceded it, while at the same time not boring those who have been reading the series from the beginning. That’s a pretty tall order. I guess I must prefer stand-alones because that’s what I’ve written until now. 😉 But I love reading series books, and I think it doesn’t hurt to create characters that your readers want to see again. So I’ve slowly warmed up to the idea that that’s what I’d like to do. As the sequel to PARADISE percolates, I’m writing the first in a new series called TRIAL JUNKIES, which is about a group of old college roommates who reunite to help a friend on trial for murder. I usually have a bit of supernatural in my books, but I’m playing this one straight. What is your favorite book you’ve written? Do you find your readers agree? My favorite book is called WHISPER IN THE DARK. It was my second book, it nearly killed me to write it (your second book is always your hardest), and it’s the one that I can read again and feel completely satisfied. Plus I love the lead character. This isn’t to say I don’t like the other books. 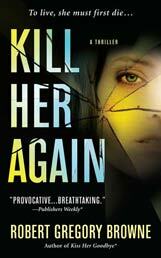 KILL HER AGAIN is a pretty fun book and I’m very premier-pharmacy.com/product/viagra/ proud of DOWN AMONG THE DEAD MEN, which—at the risk of spoiling it—has a twist that I hope will knock your socks off. But Whisper is still the one I cherish most. As for my readers, most of my email seems to be about PARADISE or DOWN AMONG THE DEAD MEN. I have no idea why. That all depends on the novel. KISS HER GOODBYE took me three or four years of stealing time to write it, a couple hours here and there, while THE PARADISE PROPHECY took about seven or eight months. 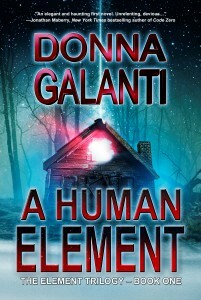 I write under top secret pen names as well, and some of those books have taken as little as three weeks. A lot of it depends on how prepared I am. I write what I love to read. I grew up reading Westlake and Goldman and Chandler and Thomas, plus the old SHADOW reprints by Walter Gibson, and I knew pretty early on that I was a thriller guy. How much in depth research do you conduct for your books? I used to say I hated research, but then I realized that I spend a lot more time doing it than I thought I did. I guess because I do it while I’m writing the book rather than front-loading it, it doesn’t feel like research. So I suppose the answer is: a lot. Especially for a book like THE PARADISE PROPHECY, which required research into Milton and into the various religious and historical artifacts that appear in the story. I had written a screenplay that I thought was pretty terrific and when I showed it to a novelist friend, she told me the idea was too good to be waste on a movie and that I should write a novel. I thought she was nuts at first, and wasn’t sure I could actually write a full novel, but she encouraged me to do a few chapters and send them to her. So I did and she came back with “Finish this book.” That book was KISS HER GOODBYE and I haven’t looked back since. How do you market your work? What have you found works best? I confess I’m an idiot when it comes to marketing, and I’m not sure how much of it does a writer any good. I think the best marketing tool is the book itself and word of mouth, and over the years you build a solid reader base. Few writers have immediate success. So my only real marketing trick is to try to write books that will hook readers and then hope they’ll pick up another. Other than that, I’m pretty active on Facebook, but I’m not sure if that translates to sales. The aforementioned TRIAL JUNKIES, which I’m pitching as THE BIG CHILL meets SILENCE OF THE LAMBS. Yes. Stop aspiring and start perspiring. Finish a book, then finish another and another and quit listening to the naysayers. We’re told every step along the way that we can’t possibly make it, and I’m here to tell you that’s just not true. I was told it was nearly impossible to sell a screenplay, yet I sold one. I was told it was impossible to get steady work in Hollywood, yet I wound up as a staff writer for a show. I was told that selling a first novel is impossible, yet I did it. I was told that selling your novel to Hollywood was a major crap shoot, yet I did that, too—twice. I don’t say this to brag, but to tell you that nothing is impossible. If I had listened to the naysayers any step along the way, if I had given up, then I wouldn’t be sitting here today paying my mortgage by putting words on a page. And any writer who wastes time listening to those who have already given up (because that’s who the naysayers usually are) is allowing him or herself to be poisoned. Put your head down, focus, and keep writing. All good things come to those who work. And what do you do when you’re not writing? I’m a movie and television fiend, so I spend a lot of time on Netflix. I’m also a musician/songwriter, so it isn’t unusual to hear me playing my guitar and singing (my poor neighbors). I love to travel, so we try to get away once or twice a year, and I also love graphic design and spend time playing with that as well. 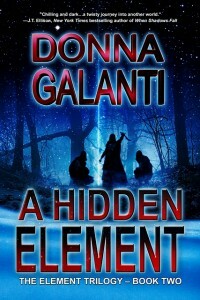 I’ve designed a number of ebook covers for friends who have decided to release on Kindle. And, of course, there’s the Internet. I pretty much mainline the web. Stacy, I agree. Robert’s words are very inspirational to the aspiring author – and a reminder to not let anything (or anyone) stand in our way of success, and persistence. Enjoyed this interview so much. I follow Robert on Facebook and have read two of his books thus far. His talent is outstanding! His advice for aspiring writers fits me to a tea. I’m a fan of his writing. Wow! Brenda, you really are a fan! Glad you enjoyed the interview and I am sure Robert will enjoy your comments. I really enjoyed this interview. I like to know how a book is born int he mind of an author. I also like to know as much as possible about the author and what makes them tick. I guess that’s the Detective inside me screaming to be let loose again. Either way, I think it makes me enjoy their books more. Great interview Robert.